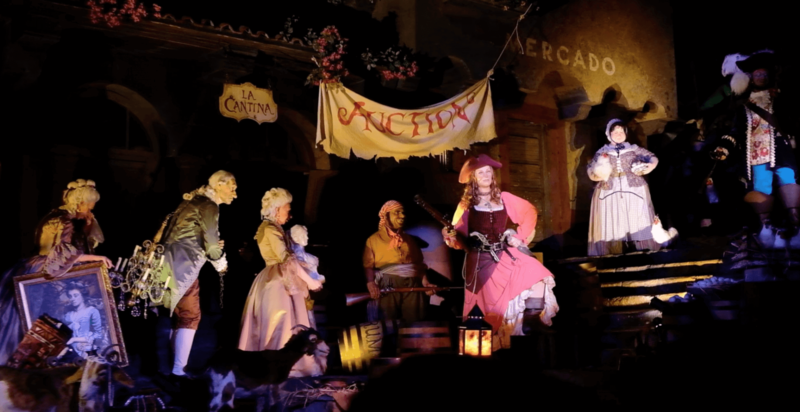 Pirates of the Caribbean reopens today at Walt Disney World with an updated scene for the fan-favorite redhead character. After closing for a brief refurbishment, the classic Walt Disney World attraction premiered its new Redhead scene. In the past, this part of the attraction was where brides would be auctioned off to the highest bidder and today as part of the new change, the infamous redhead now oversees the sale of the townspeople’s most prized possessions. Now named Redd, the redhead is a feisty pirate who has just pillaged the town’s rum supply and has something to say about it. Take a look at the new scene above. PC police strike again!!!!! #MAGA!!!!! Looks great. History had plenty of female pirates. Agreed. About time there were some female pirates in the attraction. Give the girls a non-princess role model! This is a bunch of bullcrap! WE WANTS THE REDHEAD! NOT THIS “MAKE EVERYONE FEEL GOOD” STUFF. LABOMAN FOR SMASH BROS SWITCH! so, all you cared about is lusting after a moving doll. It’s so sad to see these comment crying “political correctness…” I might suggest a little research… at first, I too had reservations when Disney announced they were removing “The Readhead” and redoing the Slave Sale scene. 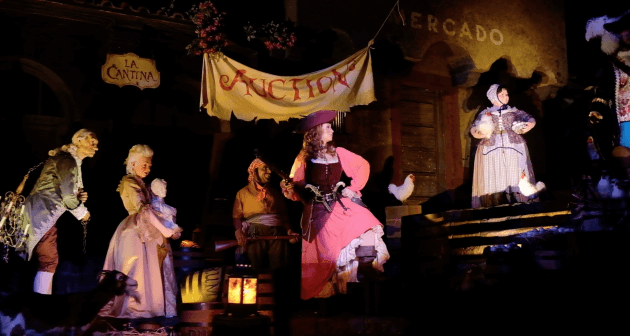 But now that videos have been released of the new scene, I could not be happier… At first, I thought… “They just added a female pirate? Oh, and how clever they gave her red hair like the redhead she replaced… all in all, not really that impressive.” But then I heard her talk… WITH A STRONG IRISH ACCENT!!! That only means one thing… they added Grace O’Malley into Pirates of the Carribean!!! What an excellent choice!!! For anyone not familiar, Grace O’Malley was one of the most influential chieftains of the Ó Máille clan in west Ireland. She was a fearless leader by land and by sea, a political pragmatist and tactician, a rebel, and a pirate. She would command her galleys to intercept ships, extorting levies for safe passage or plundering those foolish enough not to comply. 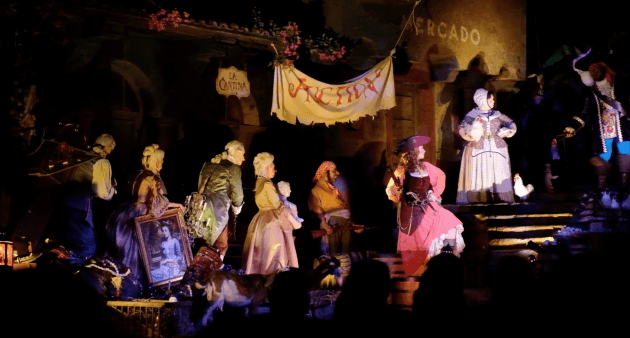 She was a true pirate as much as any of the male pirates in that ride and deserves the place she’s been given. You could try to decry it as a move of political correctness… but honestly, this was done right… and should be celebrated. PC police alert !!!!!!! PC is bad Alex Jones told me !!!!! Vote for reptellian Mark Cuban 2020!